And they lived happily ever after makes a great ending for a fairy tale, but is it possible in real life? Can a modern day couple stay together for a lifetime in spite of temptations, disappointments and unfaithfulness? Greg and Julie Alexander, speakers at the 2017 IBT Conference, found themselves struggling with the answers to those questions. They thought that divorce was the only way out of a lifeless, loveless marriage. Then, a faithful priest guided them back to the truths of the Catholic Church. And incorporating those truths into their marriage restored the Alexanders’ love for one another. Now the Alexanders help other couples find their happily ever after. As speakers, authors and marriage disciples, they offer resources to couples who are experiencing difficulties in their marriages. Greg and Julie have over a 99% success rate and have worked for over 18 years in building marriages and have brought them back from discouragement to hope, from sadness to joy and from distant to a closeness that allows God to reside at the center of the relationship. Their website The Alexander House connects couples to outreach ministries and marriage/family services. Marriage can be a sensitive topic and not all couples are comfortable coming forward to discuss their struggles. Understanding that technology is the way people communicate, shop and find information today, the Alexanders are also using the internet to offer couples hope and solutions. Though the Marriage 411 ecourse, couples receive God’s plan for marriage in the privacy of their own homes. 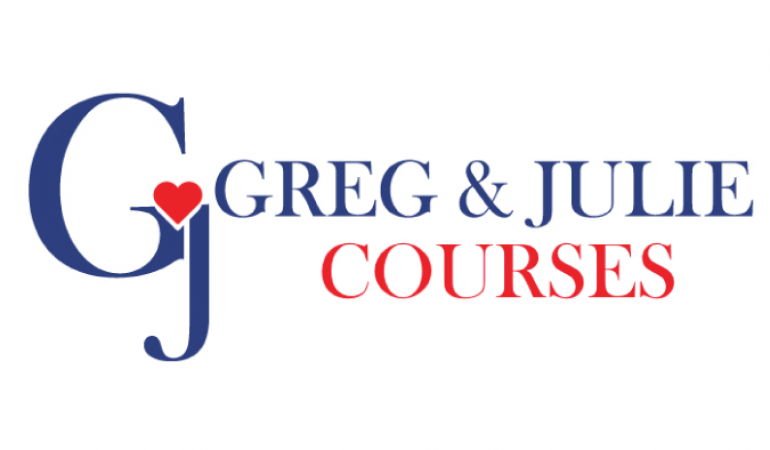 Marriage 411: The Essential Elements of a Strong Catholic Marriage is an eCourse that is jam-packed with great learning, fun, and inspiration. Couples reconnect with each other, grow closer through prayer, and improve communication as they learn God’s plan for marriage. This eCourse will address such topics as improving communication, healing and forgiveness and living a Christ-centered marriage. 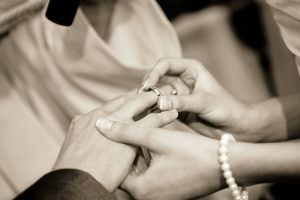 Whether your marriage is fantastic or faltering, you will gain a renewed sense of hope and purpose for your marriage. This long awaited eCourse will be available in September 2017. Sign-up today and receive notification when registration opens. Dan and Julia of Romania said, It’s 3:00am over here, and we just finished the 3rd module. It was a hard and beautiful and completely restorative 4 hours! This module needed a lot of prayers. Thank you, thank you, Greg and Julie, for making this available online, I only wish we could’ve done it earlier! It has been everything we had hoped for and more, and we had high hopes! Happily ever after isn’t just the stuff of fairy tales. For a better marriage or to give the gift of a loving marriage to someone, sign-up today.